Why do you think the company of heavenly host appeared to praise God before the shepherds? How do you picture the shepherds as the angels descended and began singing? What did they do? How did they feel? Can you think of a time when you said, “I can’t believe that happened!”? What were you referring to? Was it something you could see or touch or hear? Oh Father, thank you that Jesus happened. Here. On earth! Thank you that you came to be with us, Immanuel. Thank you for yet another reminder that Jesus isn’t a concept, but someone who happened, someone who occurred and came to pass. 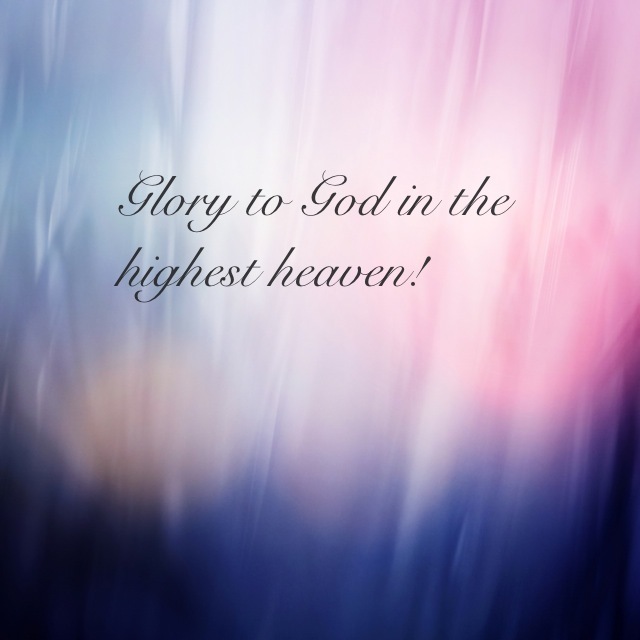 Lord, I want to be a person who sings, “Glory to God in the highest!” Glory to you, Lord, not to me. When your glory is revealed, let me be the first to sing your praise, to go and see, to stand in awe. Let this not just be a refrain I sing, but a life I live.